Austrian Superfoods, the heroes of foodstuffs. 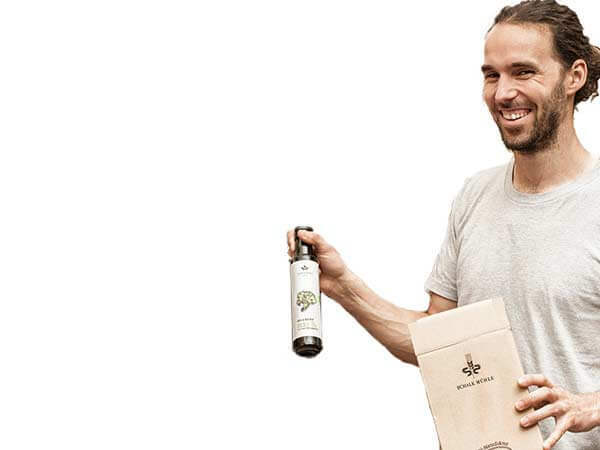 Valuable foodstuffs: organic, vegan and from Austria. We call them Austrian Superfoods™. And why? Because they are bursting with energy, provide valuable nutrients, taste delicious and are quite simply good. Such high quality foodstuffs are worthy of special esteem. We not only appreciate our products, we also show appreciation for our environment. Sustainability, fairness and tradition are valued at Schalk Mühle. Superfood – you can taste it! 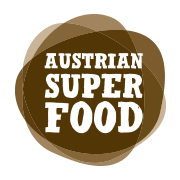 Austrian Superfoods has a wide range of products: From organic snacks to homogeneous virgin organic oils made from organic seeds and valuable and pure plant-based organic protein powder and vegan organic mush. 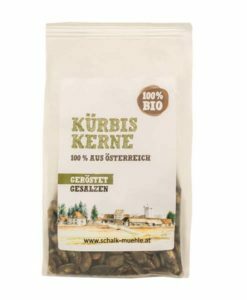 Needless to say, we also have on offer the so-called “black gold of Styria” (“das schwarze Gold der Steiermark”), our classic organic Styrian pumpkin seed oil, which has a protected geographical indication (PGI) (this is indicated by the letters “g.g.A.”, which stand for “geschützte geographische Angabe”). 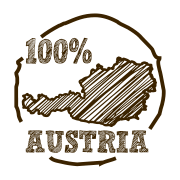 If you buy from our shop, your safely and securely packaged organic Austrian Superfood™ will be with you within a few days. We would also be really happy if you decide to collect your order from our farm in person. This would enable you to see how we make this indulgence come alive. 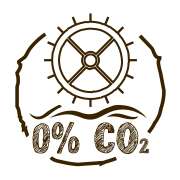 All raw materials used in our organic Superfood are without exception from Austria and have a short transportation distance – this is good for the environment. 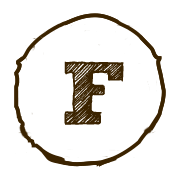 All products have organic certification and some of them are from our own organic farm. 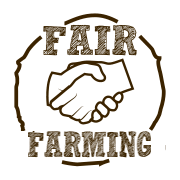 We know our partners personally and maintain and foster a fair and long-term cooperation with local organic farmers. Our hydroelectric power plant has supplied the entire production with energy for more than 100 years – this is more than we can actually use. 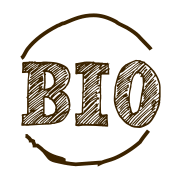 WOW, also ich habe auch schon hochwertiges Bio Leinöl von anderen Firmen ausprobiert, aber Eures schmeckt mit Abstand am besten. Ich hoffe, dass Ihr dieses tolle Qualitätsniveau langfristig beibehält! Auch Eure Mitarbeiterinnen am Telefon sind immer sehr kompetent und freundlich UND der Versand erfolgt blitzartig und sauber verpackt. Was will man als Kunde mehr…? Weiter so !!! Ich gebe es in mein veganes Müsli mit Sojajoghurt, Haferflocken und Chiasamen und es ist geschmacklich einfach großartig, es schmeckt nach Sonnenblumen, aber hat nicht diesen erdigen, etwas bitteren Nachgeschmack anderer Produkte – Qualität zahlt sich einfach aus. Der Versand ist super schnell, top verpackt und wir freuen uns auf’s Öffnen der 1. Flasche Kürbiskernöl. Wir haben Euch auf der Slow Food in Stuttgart kennengelernt und sind von Euren Produkten begeistert. Euer Leinöl ist der absolute Hammer, geschmacklich nicht zu toppen!